Brian: I didn't say anything. 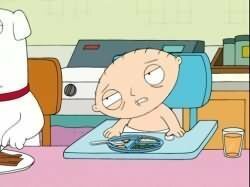 Stewie: I thought...you...interrupted me. Don't-don't interrupt me.